Which search engine is most popular in Taiwan? Do Taiwanese people use Facebook? I have content in Chinese language that works well in China—can we just reuse this content in the Taiwan market? Do you know the correct answers to these questions? If not, then this article is for you! 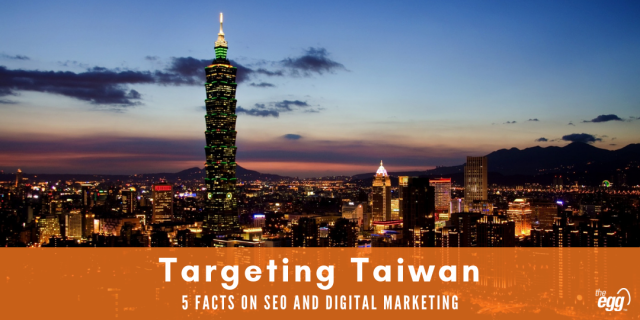 To give you an understanding on the Taiwan internet landscape, here are 5 facts on Taiwan SEO and its digital marketing industry. According to StatCounter, Google was the most popular search engine in Taiwan in 2018, with over 89% market share. Yahoo! was the second most popular search engine, with over 9% market share. Combining Bing’s ~1% market share in Taiwan, Yahoo! and Bing comprised ~10% market share between them (Yahoo! and Bing are an alliance in the field of search). Yahoo! was once a very popular web service in Taiwan. However, its market share has greatly declined in recent years. When doing SEO in the Taiwan market, Google should be your priority. Facebook is the most popular social platform in Taiwan—in fact, it’s massive in the Taiwan market. According to Facebook, in 2018, more than 97% of Taiwan’s internet users had a Facebook account. Moreover, Facebook had about 19 million Taiwanese users. Considering that Taiwan’s total population is about 23 million, we can see that Facebook has an extremely high penetration in Taiwan. With such a strong presence in Taiwan, Facebook is not to be neglected in your social media strategy for the Taiwan market. And you should think about how to incorporate social media, particularly Facebook, in your Taiwan SEO strategy as well. Mobile devices, including smartphones, are the #1 way that Taiwanese people to access the internet. According to a survey that was done by the National Development Council, 97.4% of internet users access the web via mobile and/or wireless internet. So what do Taiwanese people do when they use mobile devices to go online? According to Google Consumer Barometer, as of January 2018, most people (67%) used smartphones to visit social networks. The second most popular activity was using search engines, with 65% of people using smartphones to search. People are likely to access your website by mobile device, particularly when they find you via search engines. Therefore, make sure your website is mobile-friendly when doing SEO in the Taiwan market. Apart from popular social media like Facebook, internet forums are also popular places for Taiwanese people to hold online conversations and discussions. According to SimilarWeb, in Q4 2017, the 8th most visited website in Taiwan was Gamer.com.tw, an internet forum that focuses on gaming. The 10th most visited website was PTT, the largest bulletin board system in Taiwan. Apart from these websites, internet forums like Dcard and Mobile01 are also influential in Taiwan. Dcard is a popular internet forum among university students in Taiwan. Mobile01 is famous for discussions on computing and AV products. Internet forums are useful for finding trending topics that people are discussing online. When planning your content strategy for the Taiwan market, don’t forget to do research in internet forums. In Taiwan, traditional Chinese is widely used, in contrast with simplified Chinese, which is used in China. Moreover, people in Taiwan and China are different in terms of word choice. Slang, including internet slang, is especially diversified. Taiwanese people may understand the meanings of the slang used in China, but it is still undesirable to include these words in an article that is written for Taiwanese people, as it shows a lack of localization efforts. Don’t be misled by content that works well in China—it may not achieve the same success in Taiwan. You should localize your content specially for Taiwanese people when doing content optimization for the Taiwan market. Want to know more about SEO marketing in Taiwan market?